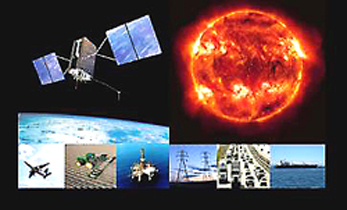 Debate: Space Weather Risks to Navigation-How Concerned Should We Be? A debate on global navigation satellite systems and their vulnerability to space weather effects will take place at 6:30 p.m. on Tuesday, November 29 at the Palais des Congres in Namur, Belgium. It is free and open to the scientific community and the public. Stuart Clark, author of a book about the unlucky Victorian who discovered solar flares, will moderate an expert panel that includes a Virgin Atlantic Airways pilot, a navigation expert at Eurocontrol, GNSS and space weather scientists at the U.S. National Science Foundation and the Royal Observatory of Belgium and a system architect at Septentrio nv, manufacturer of high-end GNSS receivers. 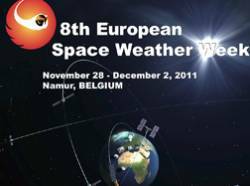 The debate is part of the European Space Agency’s 8th European Space Weather Week (ESWW8) workshop and fair. GPS, Galileo and the Russian and Chinese systems are part of an infrastructure that is now critical to modern life. Everyone knows about car navigation, but GNSS time signals could be even more important. The panel organizers say "GNSS synchronizes telephone and power networks and financial trading. These systems are vulnerable to signal delays and scintillation caused by the ionosphere, and space-weather-induced anomalies on board the satellites themselves." The experts on the panel will debate the importance of space weather as a factor limiting GNSS accuracy and resiliance and methods to mitigate those effects. They welcome and encourage audience comments and questions. For more information on the debate, and on all of the programs and events of ESWW8, go to the website below.